Creating a surprise-inside cake can be an easy experience and is always a fun one. 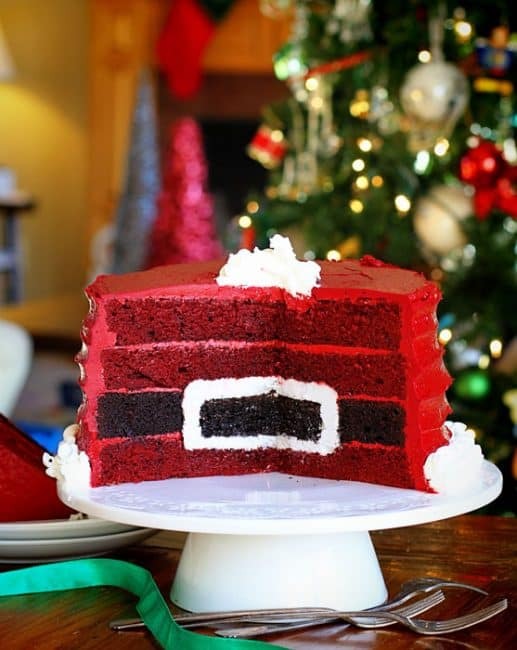 This Santa’s Belt Surprise-Inside Cake is sure to delight all who see it! I used box mix to save myself some steps. 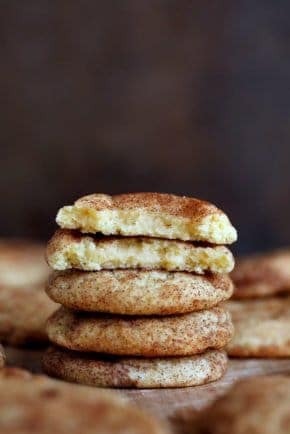 Feel free to use your favorite from-scratch recipes. 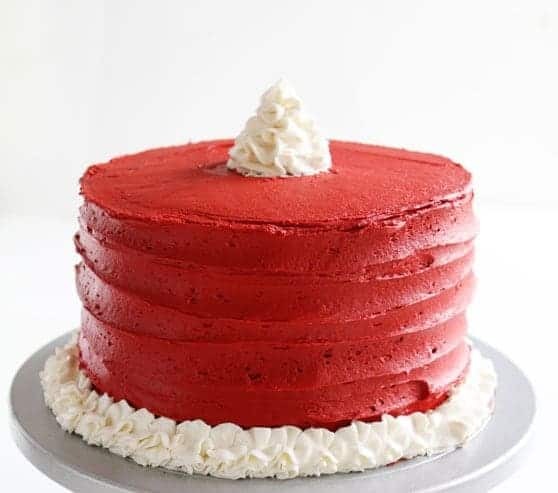 Here is my favorite for Red Velvet Cake as well as Chocolate Cake. Chill layers of cake until ready to begin. 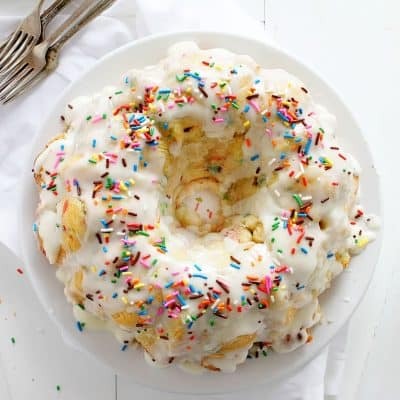 You will want to work with cold cake, but not totally frozen. 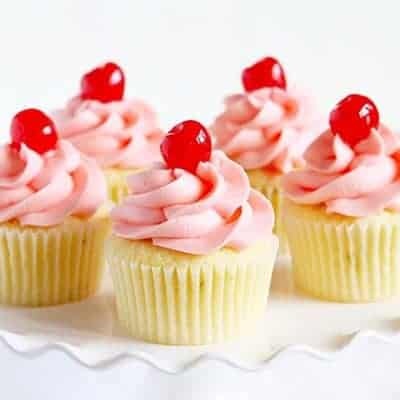 Prepare the recipe of whipped buttercream. 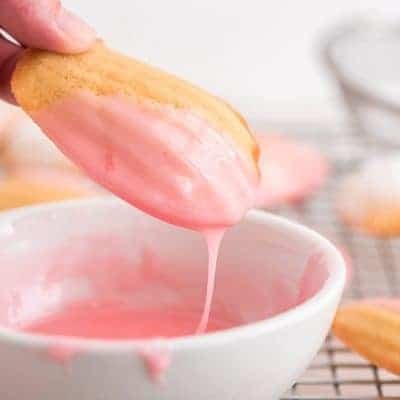 Remove 1 cup of frosting and tint grey. (I added 2 drops of McCormick black food coloring.) Remaining buttercream can stay white as this is the frosting you will use on the exterior of the cake. 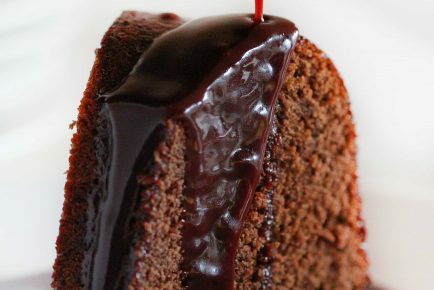 Now carefully place the chocolate cake layer ON TOP OF a layer of red velvet cake. Using the 3 1/2 inch cookie cutter, press through to chocolate cake and just barely into the red velvet cake. Pick up chocolate cake and repeat on another layer of red velvet cake. The point in doing this is that you will have a guideline on the 2 layers of red velvet cake. 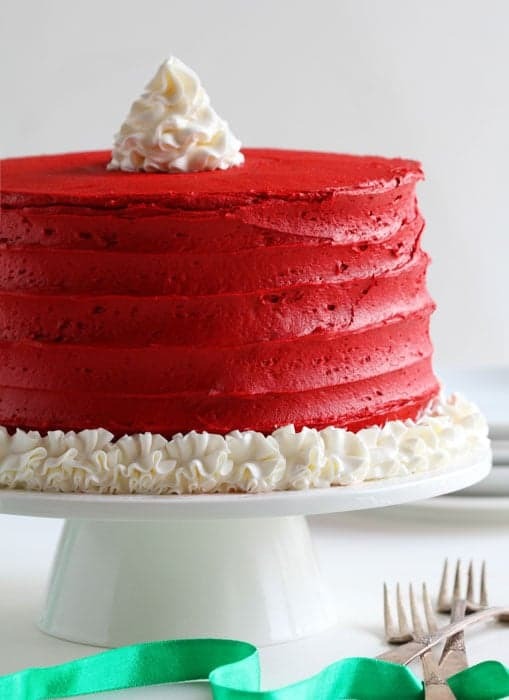 Now take a sharp paring knife and remove a layer of the cake from the center of the red velvet cake. Use your line made by the cookie cutter as a guide. (see video for more detail) Scrape out excess cake and discard. 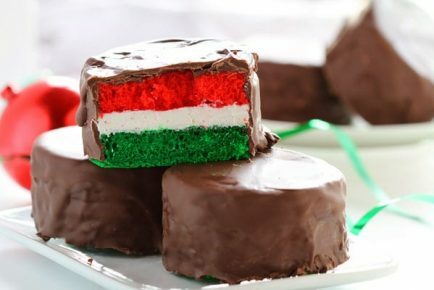 Place the chocolate layer of cake direction on top of red velvet layer. Place the circle of cake you initially removed from the chocolate cake BACK into the center. There will be a gap between the center piece and the chocolate cake, and this is good. 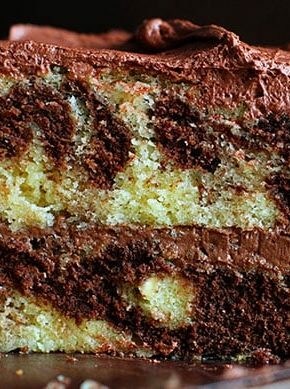 Fill in the gap between the chocolate cakes with grey frosting. Pile it a little bit higher in the center. 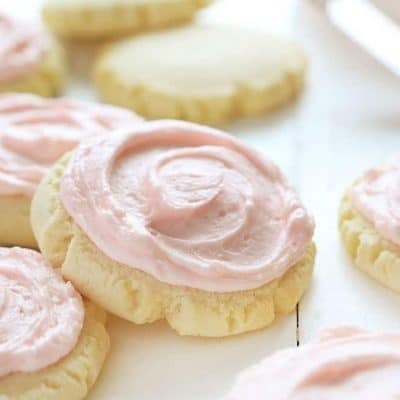 Carefully spread red buttercream around the edges. Now invert the other layer of red velvet cake that you have removed cake from. Cover in a thin layer of red buttercream. 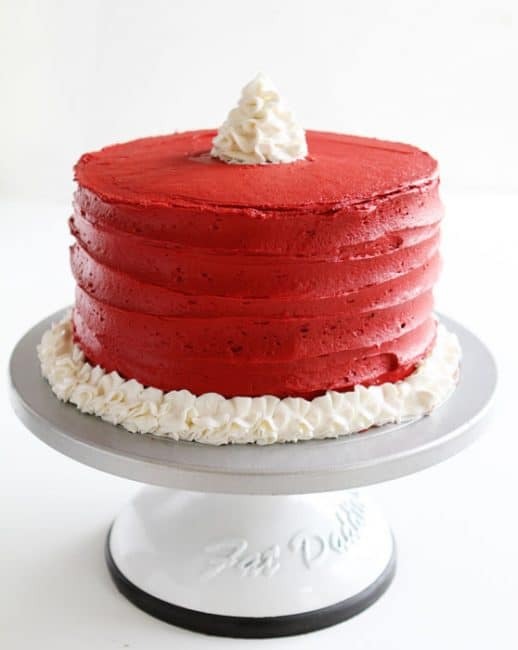 Place final layer of red velvet cake on top and cover cake in a crumb coat of red buttercream. 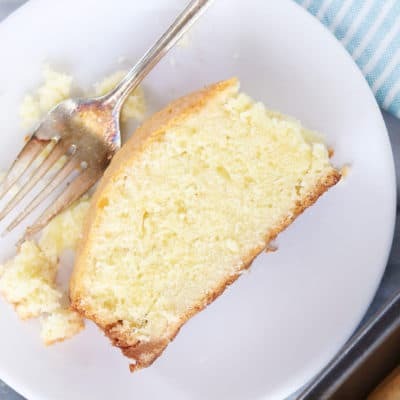 Chill cake for at least 1 hour or up to overnight. 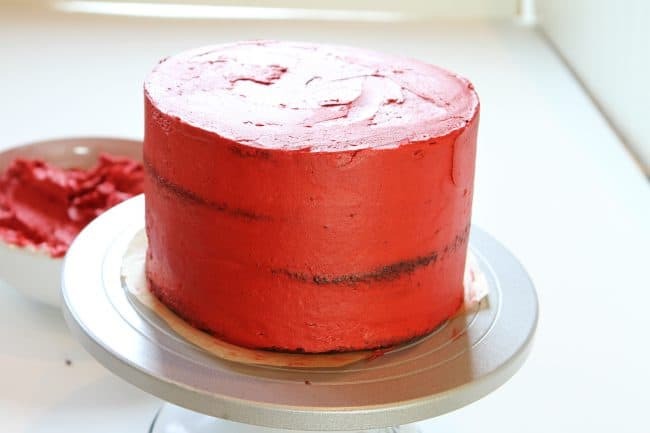 Place a thicker layer of red buttercream on cake. 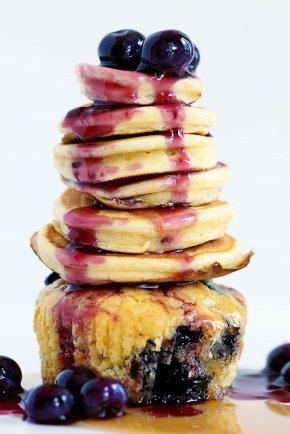 Using large offset spatula start at the bottom and move spatula around cake. This works best when you can keep the hand with the spatula still while rotating cake with your other hand. Remove excess frosting as needed. Level off top of cake. 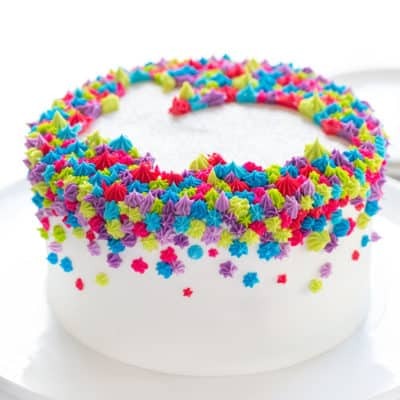 Place white frosting in bag with an open star tip. 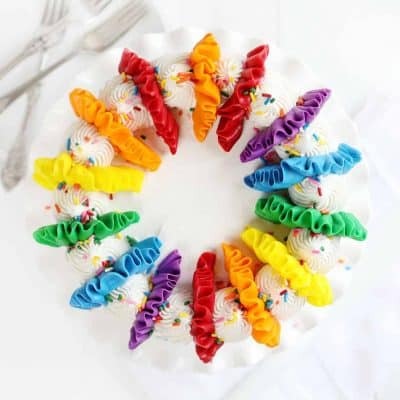 Pipe out “ruffles” at the base of the cake. Now pipe out a dollop of frosting on top of the cake in the center. Chill until ready to serve. 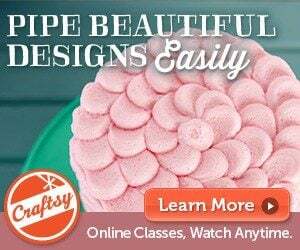 (because red buttercream bleeds so easy) You will want to serve this cake cold to get the best visual effects. When I removed the piece in the video my cake was room-temperature and the colors bled a little. I assembled this cake in one day. It actually did not take long at all! The most time is spent chilling. I hope all of the directions make sense once you have seen the video! If not please do let me know if you have any questions. 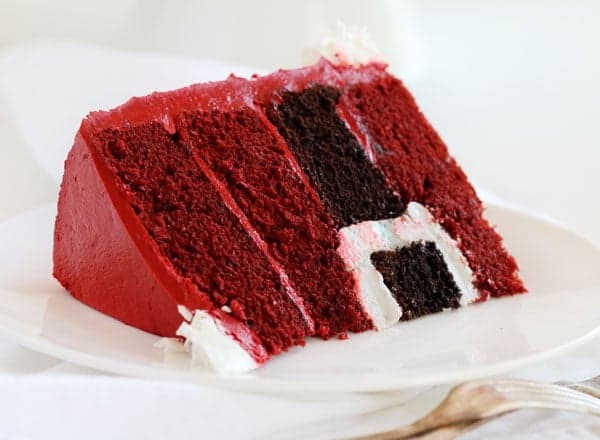 Merry Christmas and Ho, Ho, Ho, and I hope you enjoy my Santa’s Belt Surprise-Inside Cake! 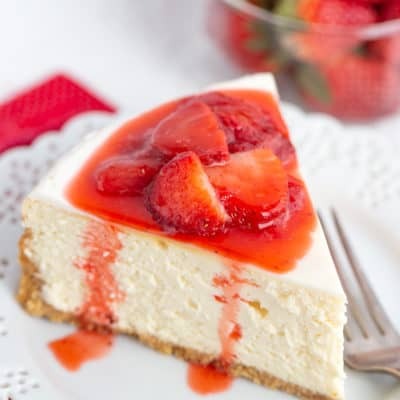 That looks so perfect, the layers and the detailing..